With a look that blends the transitional design element of wood and accenting that lends to a modern traditional aesthetic, the Millwood Collection will help to create the ambiance that you are looking to achieve in your home or office. The decorative metal base and framing of the collection provides an industrial feel, lending to the casual contrast of the distressed ash veneer of the shelving and hand-scraped weathered tops. 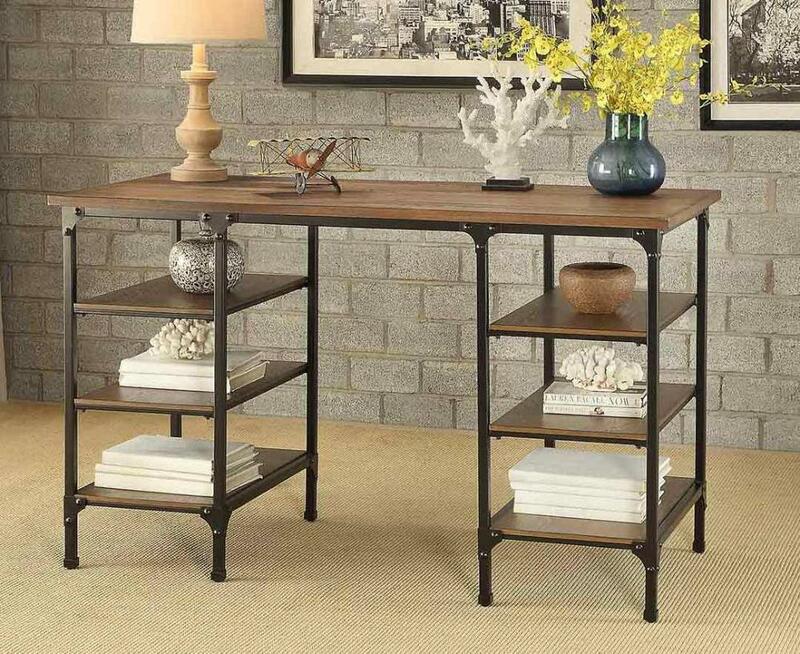 FEATURES: Weathered Wood Finish ~ Transitional Style ~ Open Space Wood Shelving ~ Dark Brown Metal Frame ~ Working Base Wheels / Stationary Base.